Book Challenge Day 22- A Book You Used to Love But Don’t Anymore | What are we...the Whos? I don’t know what first attracted me to this book, maybe it was the fact that I saw the movie first or the fact that it took place in Arkansas and I was 13 living in Arkansas. Not really sure, but I was obsessed. I read the book more than once and watched the movie repeatedly. I just couldn’t get enough. I read it again recently and was somewhat disappointed. It was still a fine book, but not the “oh my god I want to read it again even though I just finished it” book that I had remembered it to be. Maybe it’s only meant to be read once and I just suffered Where the Heart Is overload. 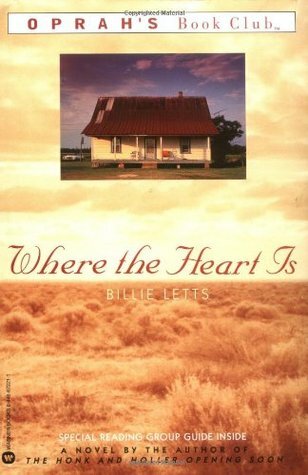 Posted in Authors, books, Reading and tagged 30-Day Book Challenge, Billie Letts, Where the Heart is. Bookmark the permalink.